I don't know if I've mentioned it here before, but I'm working towards opening a library of living books in my home. I was inspired last summer by the wonderful women at Living Books Library in Virgina, Elizabeth Cotrill and Emily Kiser. I have always loved books, and since starting my journey with living books thanks to Charlotte Mason, I want to share them with other people too. My friends laugh at how obsessive I can be about books, so I thought I'd share some pictures of what I'm doing. What is a living book, you might ask? A living book is one that "conveys truth in beautiful language," according to Liz and Emily. It will most likely be written by one author who is passionate about the topic, often in narrative form. A living book is one that will help a child form a relationship with its subject. There is an excellent article on living books from Simply Charlotte Mason here. Where do I find all these books? Well, I go to library sales when I can, and have found some great things - my best deal to date was a copy of Andy and the Circus by Ellis Credle for $1! That's a book listed in a popular homeschool curriculum called Five in a Row. It's out of print and can be very hard to find. As I type this, the cheapest copy on Amazon is $58. I make lots of little trips to the local thrift shops, and am continually amazed by what I find there. My family takes an annual trip to Michigan, and my favorite part is visiting the thrift shops in Marquette. I always find TONS of books up there. I am glad people donate their treasures, but I always feel a little bit sad that they've let go of something so wonderful. I also go to used book stores when I can, but there aren't many of those in my area. I keep an eye on what other homeschoolers are selling - I have some friends who hit library sales in their area and then decide to part with some of their treasures. "Kerri the Book lady" comes to the Charlotte Mason conference each year, and she spends the rest of the year combing book sales for living books. She brings what she finds to sell at the conference and I come home with quite a stack from her inventory every time. So, how do I know what specific titles I'm looking for? For starters, I've been using the Ambleside Online curriculum for several years now with my girls, and they have book lists for each year. There isn't a bad book among them. I try to collect those whenever I can. There are many books about books out there - you may have heard of Honey for a Child's Heart by Gladys Hunt, Books Children Love by Elizabeth Laraway Wilson, or The Read-Aloud Handbook by Jim Trelease. These are all excellent references for good books. My favorites, though, are Who Should We Then Read? Vols. 1 and 2 by Jan Bloom. Jan discovered wonderful books as a child, and home educated her own children with living books. Together with her friends Karen and Mari, she compiled her two amazing books, which include lists of authors with a short bio for each and their entire bibliography. She printed them as spiral-bound, half-page sized books, easily portable. They might not contain every good book, but they certainly contain quite a number of them, and I carry them in my purse when I go book shopping and refer to them whenever I have a question about an author. I try to highlight the titles I already own, so I don't repeat purchases, but I'm a little behind on that. Another source for wonderful living books is Truthquest History. Michelle Miller has put together a wonderful history curriculum, with lists of living books for each topic, for multiple ages. I've been going through the lists in her American History for Young Students I (Exploration to 1800) and looking for books to read with Isaac this coming fall. Michelle also runs the Children's Preservation Library in Michigan. I don't pretend to know everything there is to know about living books. Far from it! I'm learning as a go, and am so grateful for the resources available. There is a Yahoo! group for homeschool librarians, where several people who either already have libraries or are hoping to start them share their knowledge and ideas. The amazing people who attend the Charlotte Mason conference are willing to help too. 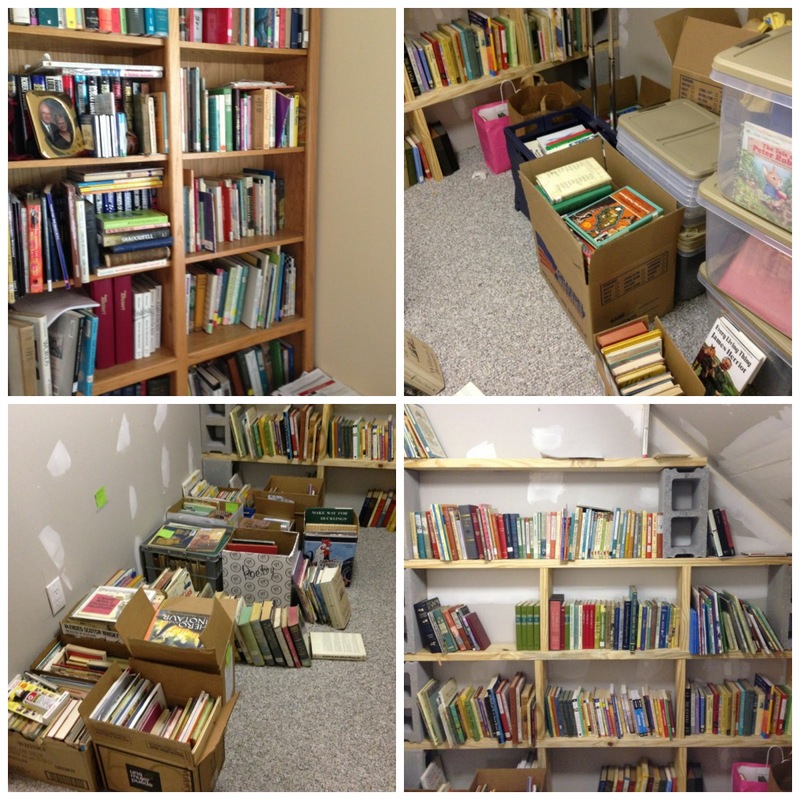 The mission - and it is a mission - to share living books is alive and well. I love that you're doing this. If you ever come up with a list of books you're looking for, let me know. I'm always in and out of thrift shops and garage sales, I'd be happy to pick something up if I see it.